Lisa Leeman believes that strong narrative and character-driven films can change the world, one story at a time, and agrees with Roger Ebert that film is a powerful "empathy machine." Lisa is a member of the Academy of Motion Picture Arts and Sciences (AMPAS) and has served as a judge at the Sundance Film Festival, the president of the International Documentary Association, and on the boards of the IDA and the National Coalition of Independent Public Broadcasting Producers. She teaches Intermediate Producing, Documentary Producing, Conceptualizing & Development, Writing non-fiction, Editing, and Visual Communication. Leeman serves as a film expert for the American Film Showcase, and has taught master classes on documentary filmmaking in China, Portugal, Jordan, the West Bank, Malawi, and the Republic of Georgia. Leeman has produced, directed, written & edited award-winning feature & short documentaries for the last twenty-five years. Calling her films ‘sideways social- issue films,’ she specializes in illuminating contemporary social issues through character-driven stories that follow people at critical turning points in their lives. Her work has been seen on PBS, HBO, Discovery, ARTE, and in theaters and festivals worldwide. Awards include Sundance's Filmmakers Trophy for her directorial debut, Metamorphosis: Man into Woman (POV, PBS, 1990), cited as the first American film to chronicle a gender transition, and an Emmy nomination for her short Fender Philosophers. She is a frequent moderator and panelist at documentary and independent filmmaking events. Leeman is currently shooting a sequel to her groundbreaking first film, Metamorphosis: Man into Woman, following the film’s transgender animation artist at a new crossroads, twenty-five years after the release of Metamorphosis. 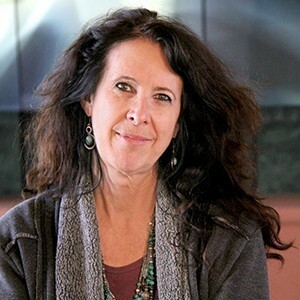 She most recently co-wrote, co-produced, and co-directed the award-winning feature documentary Awake, about the influential Indian swami Paramahansa Yogananda (author of the classic Autobiography of a Yogi). Awake screened theatrically for 48 weeks in the U.S. and grossed over $1.5 million dollars at the box office, screening in over 220 markets. It is one of only 17 films directed by women in the 250 top-grossing films of 2014. Unusual for a documentary, it screened theatrically in 17 countries, including India, France, Germany, Brazil, and Mexico. Roger Ebert named Leeman’s One Lucky Elephant as one of the best documentaries of 2011. That film premiered at LAFF and IDFA, was released theatrically, broadcast on OWN as part of Oprah Winfrey's Documentary of the Month Club, and was selected for the U.S. State Department's American Documentary Showcase. Other notable works include directing the feature doc Out of Faith (PBS) & producing the feature doc Crazy Wisdom: The Life & Times of Chogyam Trunga (2011, Alive Mind Cinema). Lisa has collaborated with many acclaimed filmmakers, including Haskell Wexler, the renowned cinematographer with whom she co-directed Who Needs Sleep (Sundance, 2006). Lisa spent a decade writing and editing award-winning social issue documentaries, including the acclaimed Made in LA, and films for noted documentary directors Stanley Nelson; Renee Tajima-Pena; Michele Ohayon; Micha Peled; Lourdes Portillo; and others. Lisa's work has been supported by the once-in-a-lifetime American Film Institute’s Independent Filmmaker Grant; California Humanities Council, a Western States Media Arts Fellowship; the National Endowment for the Arts, Corporation for Public Broadcasting, Pacific Mountain Network, and California Arts Council, and the Center for Cultural Innovation, and USC's Advancing Scholarship in the Humanities & Social Sciences initiative. Profiled in book: Rountree, Cathleen. On Women Turning 30: Making Choices, Finding Meaning. Jossey Bass, 2000.